Cisco’s Catalyst 3850 Switch series arrived with a good deal of deserved fanfare a few years back. Its all-in-one design make it a top-tier choice for networking professionals looking to unify their wired and wireless networks. A versatile beast, the 3850 is able to function as both a switch and a wireless controller. So where does that leave the classic Cisco 5508 Wireless LAN Controller? Do you even need a dedicated wireless LAN controller when you’ve got a switch as sweet as the 3850? Does the 3850’s wireless capability render the 5508 obsolete? How Do Their Wireless Powers Compare? Among other things, the Catalyst 3850 has the ability to act as a Wireless LAN Controller. The model’s main function is as a network switch, but if your networking demands are within a certain range—up to “100 access points and 2000 wireless clients,” according to Cisco’s website—you can use it as a wireless controller as well. This ability to do double duty is a big selling point. Don’t count out the 5508 Wireless LAN Controller, though. Sure, it doesn’t provide converged wired and wireless networking all in one place, but that’s not what it’s made for. The 5508 is dedicated solely to being a wireless controller, and its powers in that area are impressive. Allowing for up to 500 access points and 7,000 clients, the 5508’s wireless ability leaves the Catalyst 3850 in the dust. 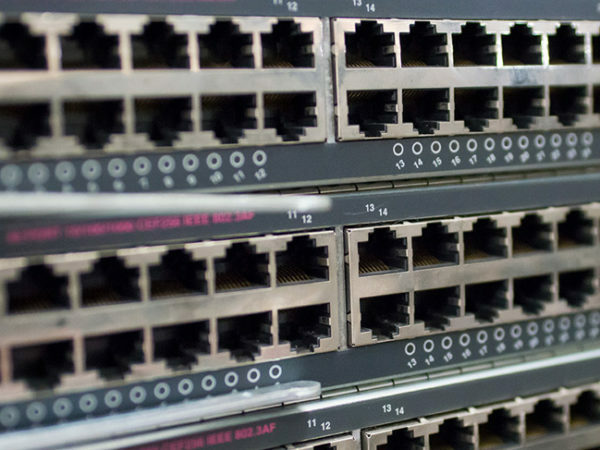 If you’re running a small-to-moderate sized network (see the numbers above), the Catalyst 3850 Switch on its own will probably be your best bet. It’s simple, customizable, and versatile. With the 3850, you’ll cut down on cable clutter and boost your efficiency. And you’ll have one less gadget to worry about. But if you’re operating a larger network, use your 5508s for wireless control, and let your switches focus on being switches. The 5508’s raw power makes it an essential element of sophisticated systems. Throw in a high-powered switch (may we recommend the Catalyst 3850?) and you’ve got yourself a network.